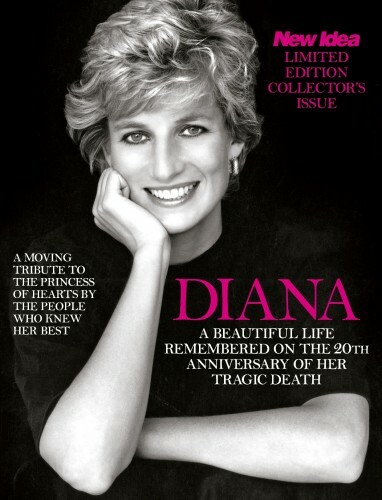 Pacific Magazines’ New Idea has released a limited edition collector’s edition “Diana: A Beautiful Life‟ to coincide with the 20th anniversary of her death. Diana: A Beautiful Life takes a retrospective look on the Princess’ incredible life before she was tragically killed in 1997. The 117-page tribute celebrates the beloved Royal through new interviews with the people who knew her best, recounts from her most memorable public moments, untold tales about her private life, and stunning portraiture from her early years through to her final moments. “Affectionately known as the People’s Princess, Diana won hearts as a modern royal, loving mother and tireless humanitarian – and this special edition magazine will capture an audience spanning generations intrigued by the stories, the imagery and the incredible legacy of Princess Diana,” says Frances Sheen, editor, New Idea. The launch will be supported across all New Idea’s platforms, including its 1.2 million Facebook audience and across Pacific’s stable of brands. Diana: A Beautiful Life limited edition will retail for $9.99 and is on sale from today for a limited time only at newsagents, selected supermarkets and online.